A look at RPS legislative trends across the U.S. Numerous schemes to scrap or diminish state renewable portfolio standard (RPS) policies have attracted a lot of national attention this year. Grim media forecasts for RPS policies, and the hefty renewables markets these policies facilitate, were not uncommon. These reports were worrisome to renewables supporters. And for good reason. Meeting existing state RPS requirements will require 93,000 megawatts of new renewables capacity by 2035, according to Lawrence Berkeley National Laboratory. That’s a lot of new renewables capacity. And a lot of investment. However, as of October, only eight states had enacted legislation to amend their RPS policies, and we project that 2013 will go down as yet another year of overall RPS advancement. This is a brief summary of state RPS legislation enacted thus far in 2013, dividing these new laws into two categories: changes that affect renewables demand (through the establishment of new targets or reductions), and changes that affect renewables supply (generally through resource or REC eligibility). The impacts of these changes will not be wholly state-specific. For example, Minnesota’s new solar carve-out does not specify whether existing and out-of-state resources qualify, or how new programs authorized by the law will operate within the new targets. Likewise, Maryland’s offshore wind carve-out likely will be restrained by the associated cost-containment mechanisms, which in turn will determine how the carve-out affects regional demand for Tier 1 renewables. 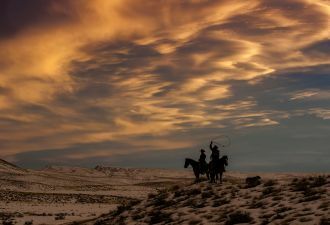 The new laws that reduce existing RPS demand, such as in Montana’s S.B. 164 and S.B. 327, do not appear to be significant. The impact of Washington’s H.B. 1222, however, is hard to predict. Supply-side RPS amendments also carry regional impacts and associated uncertainties. For example, numerous provisions in Connecticut’s far-reaching RPS-overhaul bill (S.B. 1138) have implications for regional supply and demand, and some aspects remain undetermined (e.g., the details of a shift away from existing biomass and landfill gas). The same is true of RPS amendments in Nevada (S.B. 252), which addresses utility sales of excess RECs, and in Montana (S.B. 45), which could yield hydropower expansions. Uncertainties aside, no supply-side RPS amendments enacted thus far in 2013 seem likely to have an immediate, significant or detrimental impact on renewables as a whole. On the contrary, any negative impacts likely will be minor, such as the qualification of treated wood as biomass in Montana (S.B. 325). 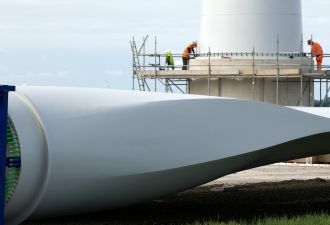 Other amendments either carry generally positive implications or represent accommodations that seem reasonable within the context of advancing renewables development. 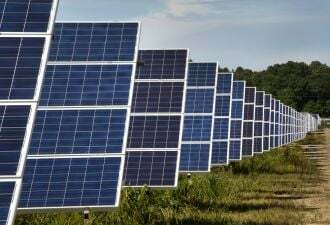 For solar energy specifically, we believe that the impacts are almost entirely positive, including financing support for grid-supply projects in New England via long-term contract opportunities (under Connecticut’s S.B. 1138) and improved prospects for solar growth in Nevada (S.B. 252). Most state legislatures have closed up shop for 2013, but a few RPS bills are rattling around state legislatures that are still in session. Six bills that would weaken RPS policies are still in play in Ohio, Wisconsin, California and Pennsylvania. Of these, Ohio’s RPS “redesign” bill (Sub. S.B. 58) is most likely to advance. On the other hand, ten bills that would strengthen RPS policies remain in committee in Pennsylvania, New York, New Jersey, Michigan, Massachusetts and the District of Columbia. Of these, D.C. B20-0418, which restricts biomass eligibility, is the only one under active consideration. Is 2014 a different animal? Naturally, any discussion of 2014 RPS legislation brings to mind the American Legislative Exchange Council (ALEC), which inspired several RPS-repeal efforts this year. Although ALEC’s efforts flopped in 2013, it plans to deploy a modified, “gentler” strategy for 2014 that seems less “anti-renewables.” Two new model bills -- the Market-Power Renewables Act and the Renewable Energy Credit Act -- would phase out state RPS requirements and replace them with voluntary programs, expand the types of energy that would qualify as renewable (e.g., large hydropower), and allow near-universal REC eligibility. And so on. It’s all but certain that state legislators will continue to debate and tinker with RPS policies in 2014. Legislative schemes to repeal, freeze or otherwise dismantle RPS policies will resume. Some of these efforts likely will be ALEC-inspired. Specifically, we’ll be keeping a close watch on Kansas, Maine, Missouri, North Carolina and the other states that considered anti-RPS legislation in 2013. We also expect that many unresolved legislative issues from 2013 will be re-addressed in 2014, especially in the 25 states (and D.C.) that carry over legislation from odd-year sessions to even-year sessions. However, state legislative activity as a whole could be muted in 2014 because in many states, even-year legislative sessions are less active than odd-year sessions, and some states (e.g., Montana and Texas) are not scheduled to convene at all in 2014. The sky did not fall in 2013. Measured, thoughtful, and positive RPS policy change won out over angry, divisive and negative proposals. In 2014, we anticipate more of the same. 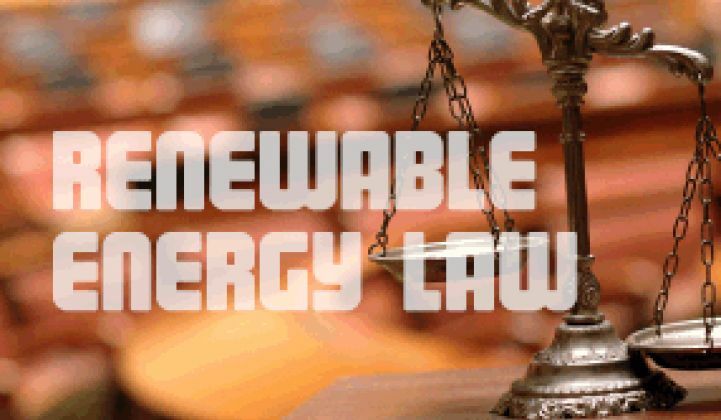 Authored by Justin Barnes, Senior Research Analyst, and Chelsea Barnes, Research Analyst at Keyes, Fox & Wiedman LLP, a distributed generation & renewable energy law firm. Note: A longer version of this post was published in the November/December 2013 issue of SOLAR TODAY (solartoday.org).